Find Cheap family vacation ideas in Cape Town! We have it all...safaris, beaches, mountains and the sun! Find cheap family vacation ideas in Cape Town and make your entire family happy! Light lunch -R35/R50; to eat out or buy food at supermarket it's half price related to US or Europe and 3 times cheaper than GBP prices; petrol same than in US and half price related to Europe with R 5,5/L; coffee- R15, a beer- R8, a bottle of wine in a restaurant- from R45 to R120; cinema- R40. Prices are in South African Rands (R). For current exchange rates see www.xe.com. The other day, I spent a certain period of time on the web to look for accommodation for my family. After couple of websites visited and few enquiries, I’ve found one… only to be told later that children under 12 were not welcome! Grrrr…so this is it! To give you cheap family vacation ideas on accommodation, I advise you to check on Portfolio collection. They offer the option ‘Children Welcome'. Voila! There are plenty of nice places to eat in Cape Town, just perfect for the whole family, which have playgrounds or are outside or are just convenient to go and eat with your kids because there is space for them to play around and have a nice time. 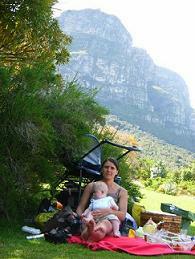 My favourite spots are Clifton beach , Signal Hill, Tokai Forest and Kirstenbosch Botanical Gardens. CHEAP FAMILY VACATION IDEAS for kids and…grew-ups! You can do so many things in Cape Town which costs zero! I told! In Cape Town, you can have cheap family vacation and have so much fun! 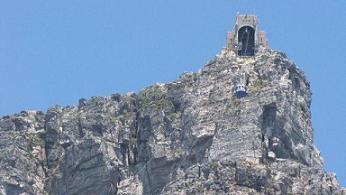 Now, if you like hiking, there are more than 100 ways to hike up and around the Table Mountain ! The choice is yours! The most common hike and easy to find is Platteklip. It's a steep hike up to the top but very well marked. You just have to follow the stairs! And to avoid queuing with your kids, you can book your tickets online. This is the oldest surviving building in Cape Town (1666-1679). A combination of history, traditional food, military ceremonies and craftsmanship awaits you. And to add a bit of romantism for the couple and fun for the kids, book a Horse and Carriage Tour. Ah! You see these all around town red open top double decked buses where they hop on and hop off tourists who want to have a city sight seeing with no stress! No problem of parking or driving on the wrong side of the road. The bus takes you to the main attractions in town and around an whenever you decide to hop off, you can hop 20 min later on another bus! 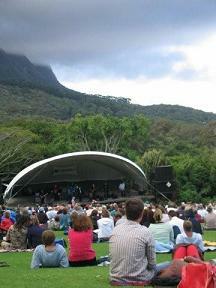 Two routes cover the city as far out as the world famous Kirstenbosch Botanical Gardens and Hout Bay. Buses depart daily from 09h10 outside the Two Oceans Aquarium in the heart of the V&A Waterfront. And the great thing is you can plug in to get historical explanations of the places in different languages and there is even a channel for kids! Situated on the promenade in Mouille Point, you’ll be playing golf with the sea in front of you. You can choose between 2 different courses of 18 holes each depending on your level. And next door, there is also a reconstitution of the Blue train, a labyrinth and an outside swimmming pool with sea water to add even more fun to your afternoon! Signal hill is one of the places I like to go for nice sun down when it’s wind free!!! I take a nice bottle of wine and a picnic basket and here I go with my friends or my husband if I feel like a more intimate time! The view of the city and the sea is awesome! This is a great place to spend a relaxing afternoon. Bring a swimming suit and a good book and the whole family will be happy! There are rivers where kids can play in and beautiful green lawn where you can read and sleep if need be! During summer (from December), there are even concerts every Sunday nights and what a lovely atmosphere even for kids! The concerts are very early. Be there at 16.30 to be sure to have a nice spot. People seat on the lawn and bring picnic to eat and dance at the same time. This is lots of fun! And depending on the type of music which is played but they can be lots of kids around. And an amazing place to stay close to Kirstenbosch Botanical Gardens is Cape Angel Guest House where Lynn will welcome you in her piece of heaven: beautiful garden, huge terrace, nice swimming pool and her friend, a funny parrot who has a lovely sense of humour! COOL Running is so coooool!! The kids enjoyed it so much and me too! 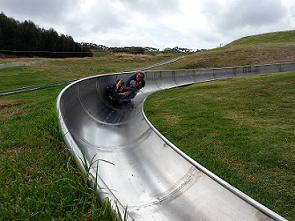 We spend an entire afternoon going down as quickly as possible trying to reach the maximum speed of 40 km/h! The twists and turns slow you down though! It’s R15 a ride for under 15s and R20 for adults. The shops at the Old Biscuit Mill are also very nice! Each time I go there, I have to set myself a limit of the money to be spent! Go mad with your kids with the great selection of rides at Ratanga Junction ! From mild merry-go-rounds to the famous Cobra roller coaster, you could spend an entire day having fun! Don't forget to bring a swimming suit and some change as you may get wet!!! Ah! And on the little note... food and drinks are not allowed in the park. Grab the cable and go for a ride on a crystal clear lake! Completely user-friendly and safe, as the water skiing is in a controlled area in addition to buoys and floating walkways which also separate activities. 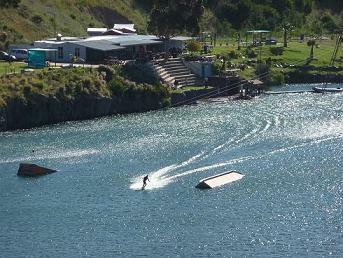 Skilled water-ski instructors are also always in attendance. What about strawberry picking with your family?! 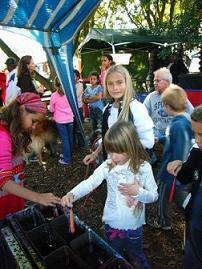 Combine activities with great food for your cheap family vacation in Cape Town! Strawberry season is from November in Cape Town. When you arrive at the farm, a basket will be provided to you and that will be the beginning of great fun! Collect as much strawberries as you are willing to eat! Note that you are charged per kilogram that you pick. The farm itself is very attractive with a huge display of native art scarecrows! The humour injected into the scarecrows always draws a smile! For more information, call +27 21 881 3222. If you prefer cherries to strawberries then you'll have a yummy and fun time at Klondyke cherry farm ! They have two field of beautiful different variatals of cherry trees. 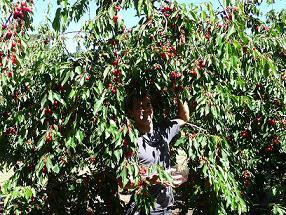 You go and taste cherries from one tree to another until you find the one with the best cherries! At the end of the afternoon, we almost ate as much cherries as we picked up! Fortunately, they did not weight us! 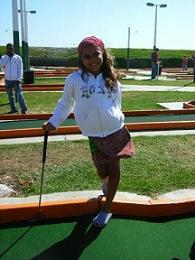 The entry fee is only R15 per adult and R10 for chilren under twelve. For the cherries your pick the price is R40 per kg (against R60 in shops). They provide punnets for pickers to use, but you are welcome to bring your own containers which they will weigh before you pick. Cherry season starts from the end of November to the end of December. Open 7 days a week from 8.00 am to 16.30 pm. And to finish the day nicely, I normally stay in Ceres overnight in one of the beautiful cottages of the White Bridge. 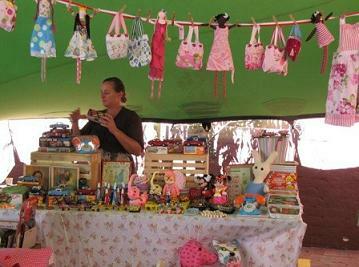 Lots of crafts such as making candles, postal cards can be done at the Hout Bay market. There is also poney rides... And for the parents, there are nice stands with lovely local foods. Your kids and you will have so much fun! They offer great documentaries for kids, teenagers and adults. Sit back and relax as you gaze up at the dome roof where the night sky or other fantastic images are projected. Each show is an audio and visual experience and throughout the year there are different themes to shows. Do you want to see wild animals? I advise you to check my page on wild life in Cape Town.